As the great, money-making companies of our society keep making money, they face the wrath of rebellious consumers. If the company is not paying enough attention to the world outside of them and pulling their weight as to being socially responsible, customers will respond. 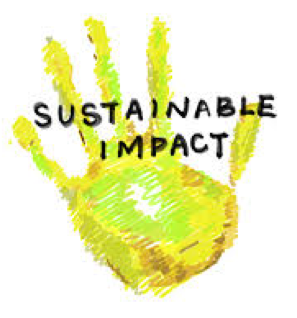 Before getting too far into it, companies may have a CSR plan, corporate social responsibility policy, but that does not mean they have a “social impact strategy”. The definition of a social impact strategy is: “A new kind of intellectual framework, social impact strategies allow companies to view their brand from a different perspective in order to constantly reassess their external and internal engagement operations” (Canarelli). In other terms, it is a basic plan for a company to ensure that they are staying up-to-date and involved both within and outside of their companies to ultimately make a difference greater than the company itself. Having this kind of strategy makes social impact not “just a goal” for the company, but a priority with numbers and strategic planning behind it to stay on track. Companies like Starbucks and Whirlpool are great examples to look it. 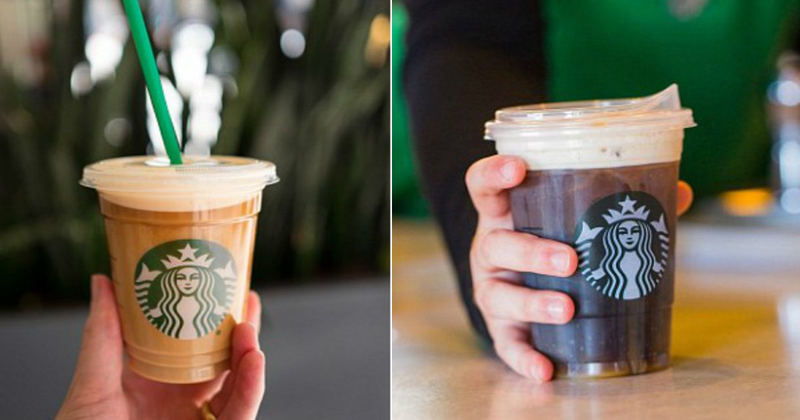 Starbucks has hopped on the train of banning straws, and are eliminating plastic from their shops across the nation. By 2020, all straws will be gone within the company. Now when people go get their coffee in the morning, they not only feel better from drinking their coffee, but also feeling good because they’re changing the world. Whirlpool on a bit of a different skill partnered with Habitat for Humanity so that every house built, has Whirlpool products in them. This makes the company more personable, and if someone was contemplating between Whirlpool and a competitor, they may choose Whirlpool over others because they know that Whirlpool is giving back. Truly, this idea could be world changing. When larger corporate companies start carrying more weight within society, more houses could be built by Habitat for Humanity, or more money can be donated to cancer research to find a cure. By following a social impact strategy, the company itself builds their own rapport, potentially avoids and eliminates the wrath, and ultimately makes a difference in the world around us. If you are looking for a simple way to have a positive impact on your campus: this is the way to do it. You can make small changes in your life that will have a great impact on your life, your community, and the world. A few of these small changes are separating trash and recycling, stop using single-use plastics, and walk to class whenever possible. Every piece of garbage goes somewhere, therefore, we must take responsibility for recycling plastics, paper, aluminum, and many other recyclable materials. When determining exactly how to recycle, there are many things to take into consideration. The first being that recycling “rules” can change from one municipality to another. According to The Smithsonian, a few important things to know about separating your trash and recycling are that Styrofoam can’t be recycled, shredded paper is recyclable, however, larger pieces of paper is easier to repurpose, and you cannot recycle plastics or cardboard that have food particles on them (Smithsonian). For example, a pizza box is not recyclable, and a carton of milk should be rinsed out before placing it in a recycling bin. You may be asking yourself, what are single-use plastics? Single-use plastics are plastic materials that are not reusable. A few examples of these are plastic water bottles, plastic bags, and plastic straws. The Biological Diversity Organization says, plastic bags start out as fossil fuels and end up as deadly waste in landfills and the ocean. It can be a simple switch to stop using these single-use products. A few ways to easily stop using them are purchase a refillable water bottle that you carry with you in your backpack, use Tupperware to transport foods with you, and invest in a few reusable grocery bags. All of these are ways that would be easy fixes for you and would be a huge step in improving the environment of our world. There are many reasons walking to class is better for college students than driving and it is better for the environment. By walking to class, you are saving money on purchasing gas, paying for a parking permit, meter, or even a parking ticket. Walking to class is also healthier for you and can provide you with a healthy amount of daily exercise. According to The Guardian, 1 in 5 people admit to drive a short journey that they would be able to walk. By walking, you could be helping yourself and the environment by saving money and saving on the fossil fuels that your car burns into the air. All of these are simple ways that anyone could be more environmentally conscious and make a positive social impact for their community and the world. · How will you start to be more environmentally conscious? · In what ways can you encourage your friends to do some of the simple things you do to improve the environment? Volunteering is a vital part of an individual’s experiences in life, play a key role in their character, and can be very impressive on a resume. According to the New York Times, many people in the world are focused on personal development and growth. While this is very important, there has recently been a larger push toward neighborhood improvement, as well as personal improvement. Neighborhoods and society as a whole are essential to social change. Have you ever wondered about volunteerism and how you can get involved? Volunteerism is a movement that aims to provide a positive social impact to economies, social welfare, and the volunteers as an individual. Point of Light Institute says, volunteering has proven to help raise the educational performance of youth, help lead environmental movements, build more cohesive and stronger communities, and enhance social connections. Volunteers also play a key role is social life. By volunteering with a group of people, individuals are able to meet others and interact in ways they may not have had the opportunity to do before. The values to individuals and communities that come from volunteering can cause a positive social impact for exponential amounts of people. ·How will you start your journey to volunteer and provide a positive social impact for your community? ·How can you encourage others to start volunteering?